Boards tend to get pretty clogged up in Ravnica Allegiance Draft, due in part to the Afterlife ability and to the many creatures with toughness greater than their power. One key to the format, then, is to find ways to break board stalls that don’t involve unbeatable bombs or a lot of premium removal. 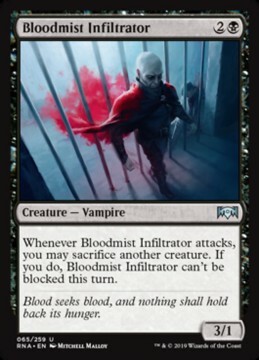 I’ve had success pushing damage through with the simple combo of Bloodmist Infiltrator and creatures with Afterlife. You’re not going to get your opponents down from 20 to 0 very often with this strategy, but sacrificing value creatures to the 3/1 Vampire can often get the final 6 or 9 points of damage in. This is especially true in the very late game against Orzhov or Azorius, when both the air and ground are stalled and both players have used most of their removal spells. 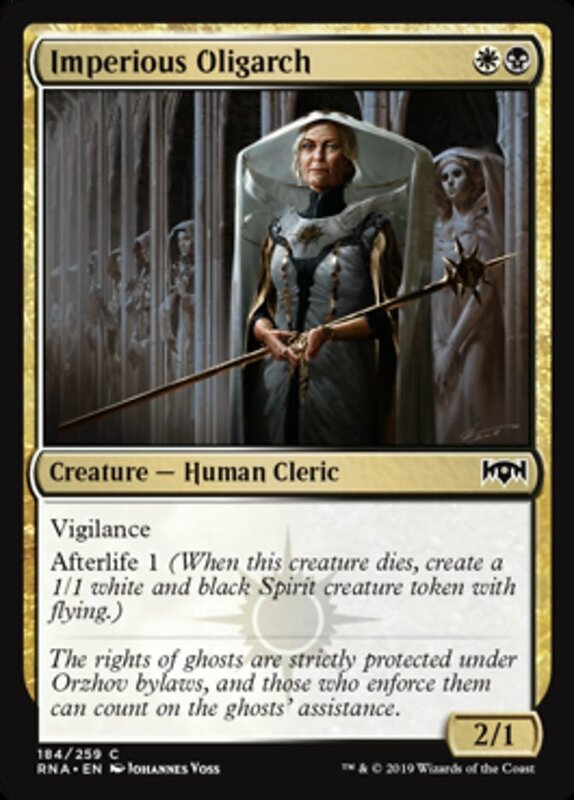 Even if sacrificing some of your creatures puts you at a slight disadvantage on board, you can always chump block with your spirit tokens to stay ahead in the race. Of course, if the Infiltrator meets its demise before killing your opponent, you could be in major trouble, but it’s unclear whether you would have won that game anyway. While this combo can help you win some games, Bloodmist Infiltrator is still has pretty mediocre stats, so you don’t really want more than 1 or 2 of these in your black decks. In fact, I often see the card come back around the table, so just keep this combo in mind when looking for additional win conditions in your black decks. 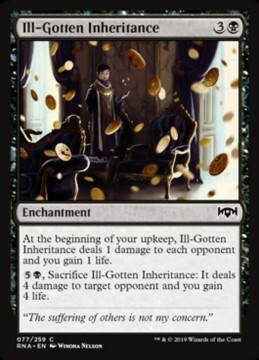 Ill-Gotten Inheritance’s abilities and flavor may make it look like an Orzhov card, but it actually does just as much, and possibly more, in aggressive Rakdos decks. 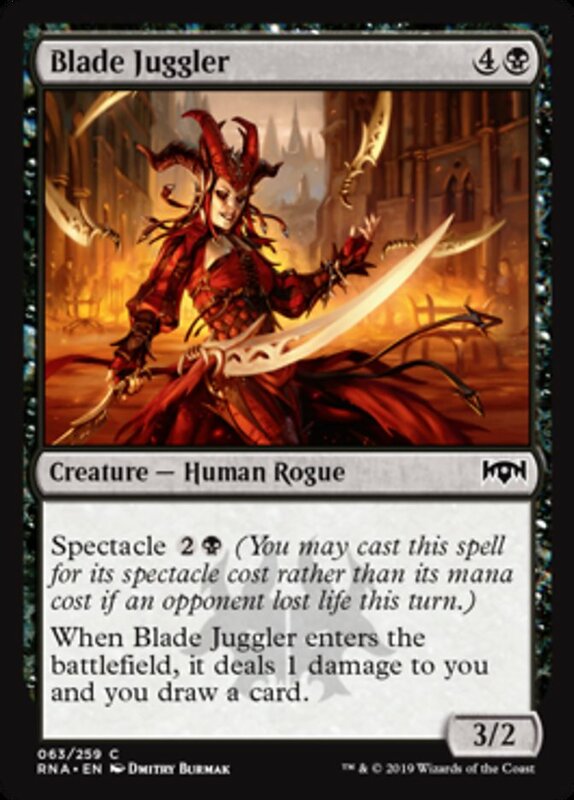 That’s because the card, like Spear Spewer, ensures that your Spectacle cards are activated every turn it’s in play. This interaction can power Rakdos decks up significantly, with cards like Skewer the Critics, Blade Juggler, and Light up the Stage becoming hyper-efficient, undercosted spells. 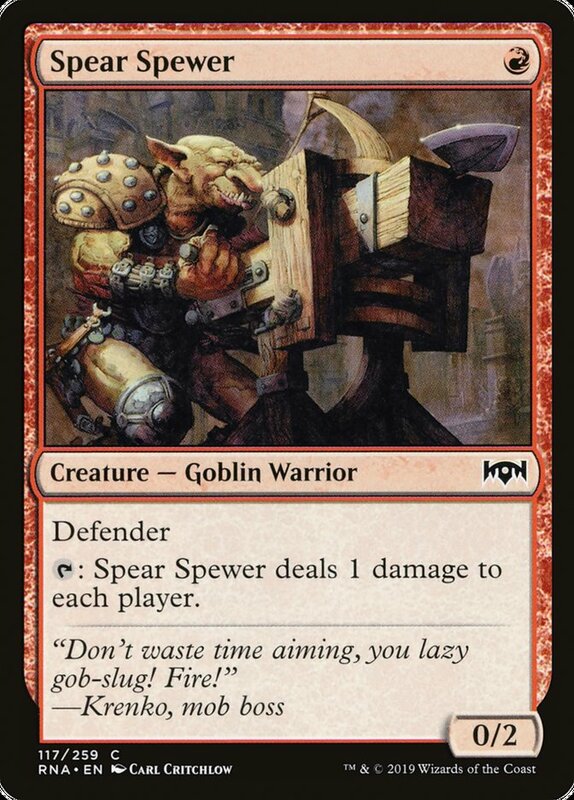 And while Spear Spewer is the preferred option due to its cost, Ill-Gotten Inheritance can also play the role of an effective “finisher” in low-curve Black-Red decks that can do a lot of early damage but will likely fall behind as the opponent stabilizes behind removal spells and big creatures. The enchantment also helps mitigate against flood, giving you something to do with your mana late in the game. Having said that, Rakdos decks probably want just one copy of this card, as you still want your deck to contain mostly cheap creatures and removal spells.